Throw pillows are usually seen in the living room and also in the bedroom. It adds a soft touch the furniture and seating areas making the room look light and beautiful at the same time. Throw pillows come in different sizes, shapes and styles. The look of your living room can be greatly affected with the design of your throw pillows. These accessories can create a great impact and a personal statement for the areas where you opted to place it. That depends on the design that you choose as covers. Hence, we have collected some great throw pillow designs to give you an idea on which one would best suit your living area, your entertainment room or you bedroom. Each design will surely impress you and would make you buy new pillow covers for your own home. You can also take a look at our tips on how to make use of pillows to spice up your living room’s couch. 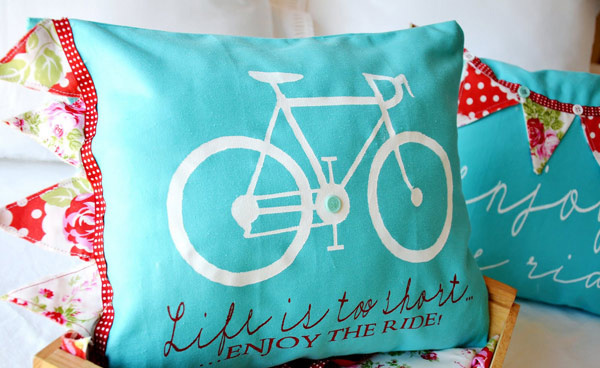 So, here are woud collection of various impressive throw pillow designs. Scroll down and check what we have in store for you. 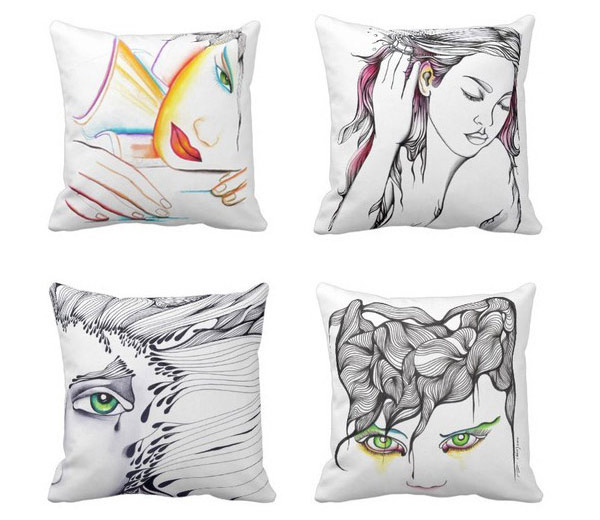 These throw pillows has different artistic designs that could be a great accent to your couch. Super cute kawaii throw pillows showing various kawaii characters making the pillow more huggable. This one features skulls that were creatively brought to life in these throw pillow covers. 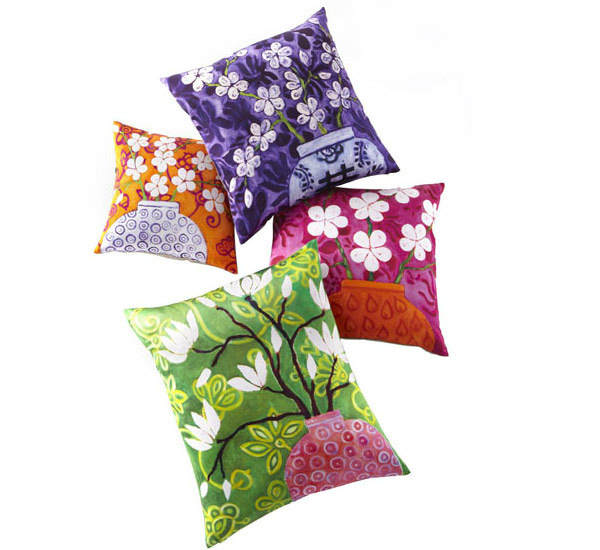 Beautiful floral pillow covers that make use of lively colors. 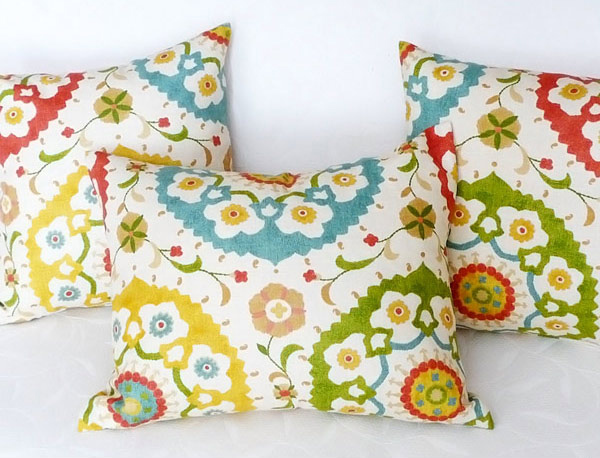 A set of three pillows of different designs but use the same colors making each one a good accent of the other. Prints that are both abstract and retro would add a different twist to yur living room. Feel like you are with your favorite animal through these cuddly throw pillows. 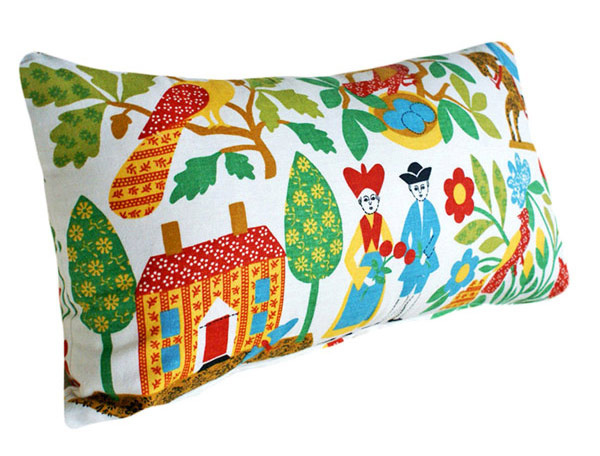 Uniquely designed throw pillows that seems like a canvas of a country folk art painting. 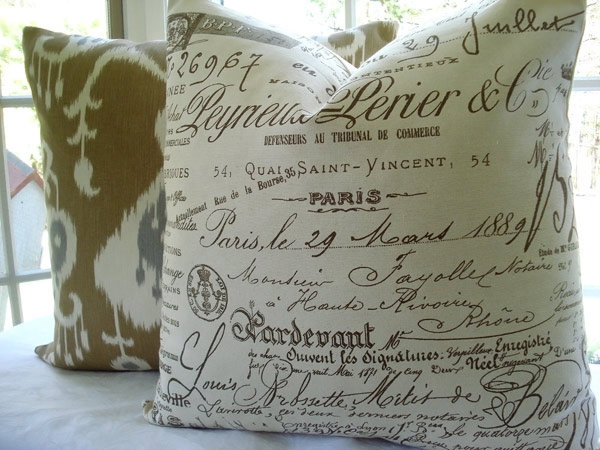 Two pillows where one is the accent and one bears various a French Script created from Vintage Documents printed in chocolate brown. 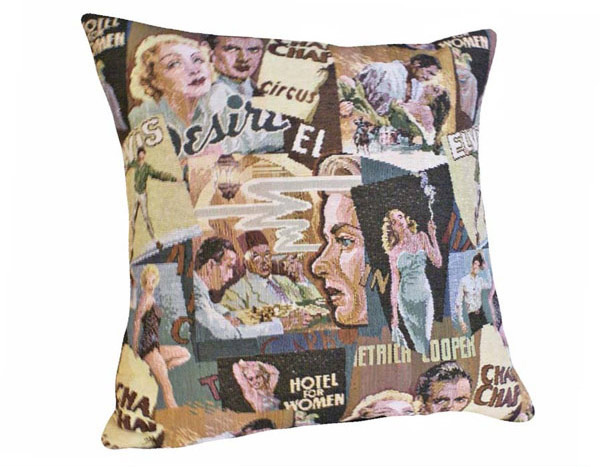 Fun Hollywood nostalgia throw pillows which can be good for your entertainment room with real conversation pieces of movie vignettes. Get that trendy animal skin design for your living room through these pillows. If you are aiming for an eclectic look, these pillows could help you achieve it. For owl lovers, this one would be good for them with cute owl prints. 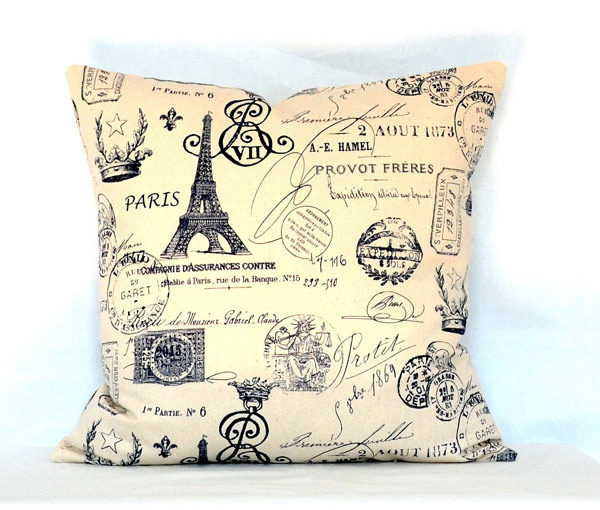 Get a vintage look with this pillow of Paris French stamps looking lovely and classy. 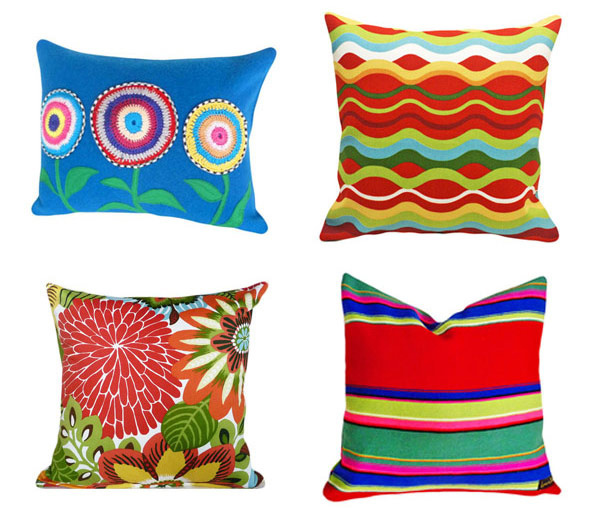 Add color and life to your couch with these retro patterns in throw pillows. Cute stick figures of couples that creates a story and would be perfect as a gift for newly weds. 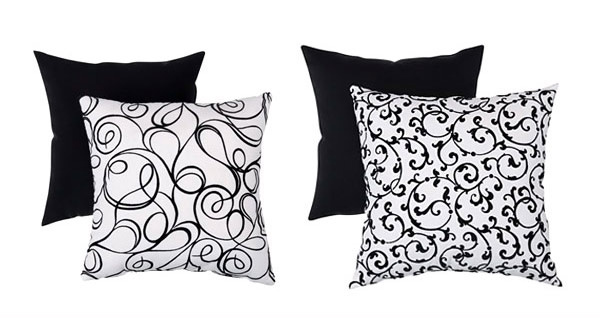 A modern living room would look great with these black and white pillow accents. What makes this pillow unique is that it is merely made from scrap materials but turned out this lovely. 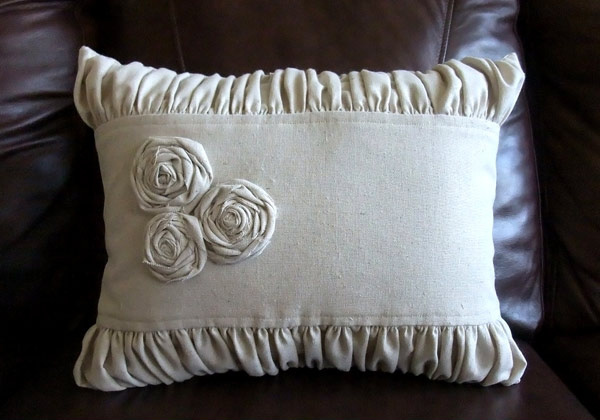 A pillow that could add class and elegance to your living room. Aren’t these throw pillows lovely? These could give you an idea on what to buy next when you shop for new pillow covers. Or you can also acquire those pillow designs above from their respective designers. Having lovely pillows add more beauty to the couch and the entire look of the living room or wherever you intend to place it. Look forward for other throw pillow collections here at Home Design Lover.